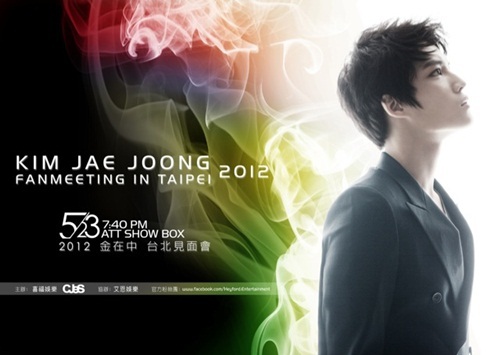 JYJ’s Kim Jae Joong’s overwhelming popularity in Taiwan has been displayed. It was revealed tickets for Kim Jae Joong’s independent fan meeting in Taiwan on May 23 were sold-out as soon as ticket sales opened. The 2,500 seating fan meeting not only sold-out its tickets immediately upon the start of its sales, but this also caused the server to crash due to overwhelming traffic. This hasn’t been the only time Kim Jae Joong’s extreme popularity abroad has been seen, as his previous fan meetings in Shanghai and Turkey were also sold-out immediately, and Kim was voted the number one searched hallyu star on Twitter. For the upcoming fan meeting, Kim Jae Joong will share on different episodes that occurred during the filming of Protect the Boss, perform his song I’ll Protect You from the Protect the Boss OST, play games and hold a talk session.